Can Beer Learn to Adapt to New Wellness Trends? Can Beer Learn to Adapt to New Wellness Trends? Can Beer Learn to Adapt to New Wellness Trends? The 16th annual Beer Summit of San Diego has reported that low sugar, general health and, superb wellness trends are not only one of the largest themes of modern day society, but are also seriously affecting the beer market. 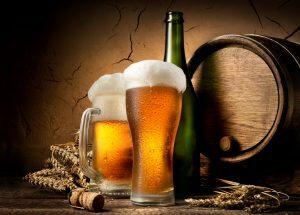 Beer, which has been in history the most popular beverage of the alcohol category, has suddenly dipped in growth. Beer needs to step up it’s game in health and wellness, as consumers have the idea it is the complete opposite of such. Currently, about 60 percent of 21-34 year olds reported trying to drink less and 15 percent of that age group drink non-alcoholic products when out. In fact, the younger people are, the less they drink because of this obsession of low sugar, and general health and wellness.